Here’s the thing, though. If you’d talked to Paul a few years ago, that paragraph above probably wouldn’t have made sense to him. Paul never planned on being a do-good filmmaker. After beginning his career loading 35mm magazines on the sets of big, traditional films, Paul intended to keep climbing the Hollywood ladder. Luckily for the rest of us, fate — and Paul’s friend Esther Havens — had other plans. 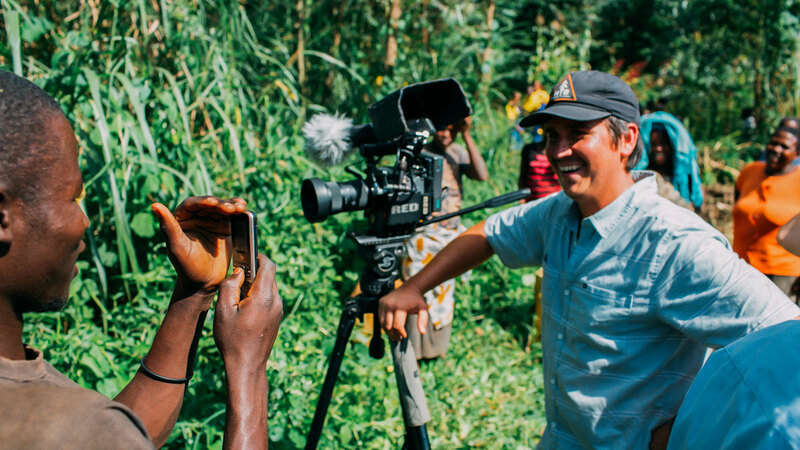 We recently talked with Paul about his unexpected career path and the art of cause-based filmmaking. F+M: How did you become a filmmaker? It’s kind of funny. Originally I wanted to be an actor, but I took an acting course and it just wasn’t for me. So then I thought, Well, my parents would probably like it if I made some money. So I took a course on business and that wasn’t for me either. A friend of mine is actually the one who recommended a filmmaking class. He said, “Here’s a camera, here’s a computer; here’s how you do it.” The night after we shot our first project I worked all night editing, and when I looked at my watch it was 7am. I’d worked through the night and wasn’t bored for a second. I’ve heard that the best indicator of the work you should be doing is the work you lose track of time doing. That’s a very good point. I’ve never thought about that, but yeah. I didn’t. After I finished my undergrad, I really just wanted to get into a camera department and work on movies. That was the dream, you know? Become a director. Yada yada. I emailed this one alumni from my school, and he invited me out to a movie set in Austin. I think the movie was called How to Eat Fried Worms. So I went out and introduced myself to the camera guy and told him that I just wanted to be around cameras, so he basically just threw me in with the rest of the guys. It was this awesome crew, and I started to work my way up from there. Became a union camera assistant. Worked for several years as a film loader. I learned more in a week working on 35 millimeter than I did in four years of college. I really just wanted to get into a camera department and work on movies. That was the dream, you know? So you were loading actual film? Yeah. Old Panavision thousand foot mags. Loading in every condition you can imagine. On a stake bed, which is a big truck with a wooden fence around it. 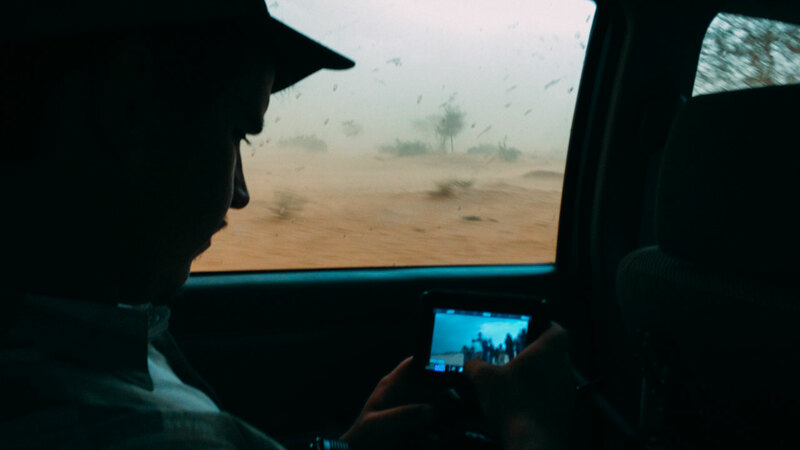 Loading film while driving off-road in the rain. I mean, honestly, if someone ever asked me to teach a film course, the first lesson I would teach students would be, “Take all these cases and move them into that room over there. Okay, now bring them all back here. Okay, we’re done.” Because on big studio movies that’s what you start out doing. You go home and your legs are bruised because the cases are so heavy. 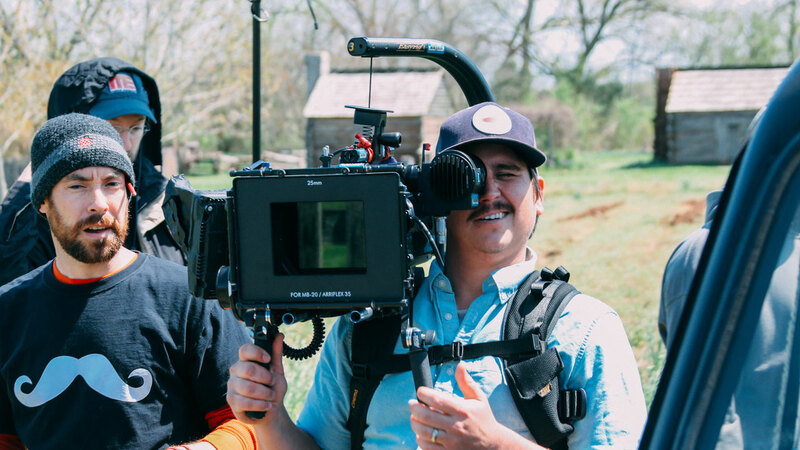 Have you learned any filmmaking lessons recently? 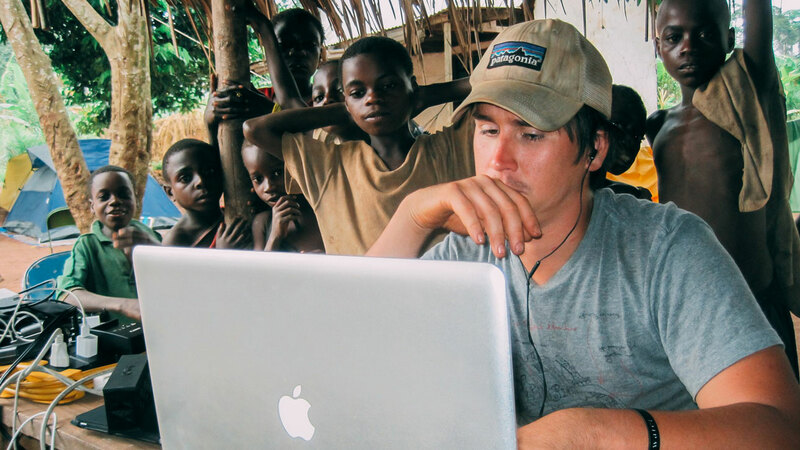 Well, one thing specific to NGO or cause-based films, is adjusting your pace of production. In the states I feel like we get caught up a lot in this “go go go” lifestyle. Be quicker, better, faster. But in most of Africa, it’s kind of bliss. People take their time to meet, say hello, or just sit under a big acacia tree for a “quick” afternoon coffee. It’s easy to get frustrated, whether you are shooting a project or even just trying to check into a dinky road motel. So I’ve learned to just enjoy the pace and try to use that time to be observant and get to know the translator, the subjects, or the team I’m working with. In the states I feel like we get caught up a lot in this “go go go” lifestyle. Be quicker, better, faster. But in most of Africa, it’s kind of bliss. 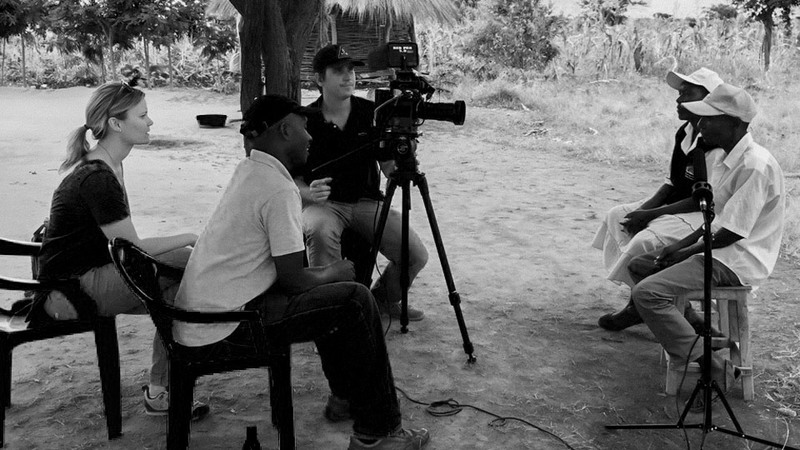 How did you get involved in nonprofit filmmaking? Did you always care about the world? [laughing] No. Early on I was just working through the ranks as a union camera guy, hoping to work my way up to director of photography. Then randomly this friend of mine, Esther Havens, she needed someone to come film in Ethiopia, so I went along. No pay or anything. I just went for the adventure. I had no intention of working for nonprofits. That was never on my radar. And honestly, even after my first few trips, it wasn’t like I was changed overnight. Some people are like, “I went once and it changed me forever.” For me, it’s been so many different experiences. Eventually it started to stick with me. Now, no matter where my camera takes me, I don’t think I’ll ever give it up. That first trip I was just shooting on a D90. The resolution was awful, but the depth of field and focus were on par with motion 35mm. You could really tell a cinematic story with it. So I shot this video and somehow it got to another organization, Charity: Water. They saw this footage and they were like, “How did you get it to look like this? Did you bring a film camera over there?” This was in the early days of DSLR filmmaking. So eventually Charity: Water started keeping me busy. They have such a huge following that my work with them led to a lot of other referrals too. What do these projects usually look like? Is there a script, or do you just get there and figure it out? I’ve done projects that are storyboarded and I’ve done projects that are just like, “Hey, we have this person; can you get them on camera?” Whatever the case, though, I think you always need to go in with some sort of plan. To have some shots in mind that you want to try to get. Having a plan helps you get started, helps you turn your camera on. And then everything changes from there. I think you always need to go in with some sort of plan…Having a plan helps you get started, helps you turn your camera on. My style lately has just been people narrating their story. Except not narrating in a narrative sense — not “this happened and then this happened.” For me it’s become less about what the people are saying and more about how they’re saying it. I did a story recently where a lady said that her daughter had fallen down a well. If I just did a normal interview with her and asked her what happened, she might just answer it very quickly. “I already told you that my daughter fell down a well.” But the tempo is off. The facial expressions are off. I’ve realized that the look on people’s faces says more than subtitles ever could. And that really comes down to your approach. It’s not about asking a bunch of questions and trying to get a bunch of answers. It’s about trying to really get to know their story, asking them about how they feel instead of just what happened. 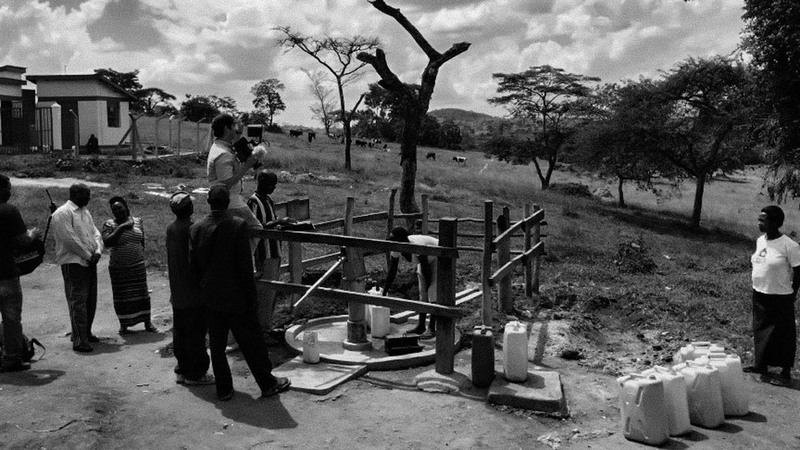 For example, one woman we filmed just drank clean water for the first time. I asked her what it was like. She said, “It was good. It made me feel good.” I thought, How can I ask this a different way? So I asked her what it tasted like. And this is what she said. No joke. She said, “It tastes like sweet milk.” It was crazy. Sweet milk is a privilege. A luxury. You drink it at celebrations. It made you realize how much we take water for granted. But for her, water was like this royal treatment. It’s tempting to ask big questions like, “How has this changed your life?” but a lot of times those won’t get you the right answer. Getting good stuff takes getting in there and taking your time with it. Not just being a fly on the wall and getting a bunch of medium shots 15 feet away. It takes getting the subject involved. A lot of times they get excited about it and help direct us to more interesting locations. Is your approach always to focus on a single person? Absolutely. There was this study a while ago where some newspaper posted an ad asking for donations. The first time they posted it, the ad said, “This country is suffering from X. Donate today to help.” Then they ran an ad that said, “This community is suffering from X. Donate today to help.” And the last ad that ran said, “Mary is suffering from X. Donate today to help.” That last ad raised 10 times as much money as the others. I think you just get a fuller sense of the story when you’re telling a single person’s experience. It’s so easy for an audience to distance themselves from hard situations. But really I think you have to go back to storytelling 101. You have to make the story interesting. What’s the hook? What’s going to grab people? What’s going to make this person relatable? It’s not a good story when you just show extreme starvation and children on the brink of death. While those situation can be real sometimes, there’s something more profound when you show joy and share what’s at stake with the audience. I think showing the real side of people really pulls in a viewer, and it sticks with them. A few different projects. Right now I’m in Kenya and Uganda working with The Adventure Project. I’m excited about it. They are an organization that funds job creation, so the approach is very unique, and a bit different from just giving out help. It’s going to be a pretty cool story about real sustainability. Are there particular lessons you’ve learned about this type of work? The first thing is to leave the camera in the car. Go shake hands. Talk to people. Take your time and get to know them. When you do that, you learn a lot and open up doors. The other thing I’ve learned is that you’re never going to get all of it. You always want to get all of it and you never do. At the same time, though, you get a lot of great things that you didn’t plan on getting — things that strengthen your story in unexpected ways. For example, back to that woman whose daughter fell down the well. When we got there we found these logs over the well that had these deep grooves cut into them. There were 30 or 40 six-inch-deep grooves. And it turns out that over time the rope from the well cuts into the log and eventually the log breaks. It was such a powerful image. Almost like a piece of abstract art. I just couldn’t stop shooting it. There’s no way I ever could have written something like that into the film but it was the most striking image I saw. The entire story could be told from this piece of log. You have to embrace the process and be really patient. You have to go with the flow. Which, honestly, I think is a good lesson for filmmakers in general. Take things as they come. You usually end up finding something better than you could have thought of on your own. You have to embrace the process and be really patient. People respond when you tell them good stories. Paul’s work proves it. His films are not only beautiful, but they’ve also helped raise hundreds of thousands of dollars for important causes and organizations. Of all the reasons to make films, it’s hard to think of a better one than that.